Pilks moved a step closer to the league leaders with a scrappy 1-0 win away at Greenalls Padgate St Oswolds. The Tetley Walker is always a tough place to go and with a swirling wind and very bumpy pitch it made for a game of little quality. 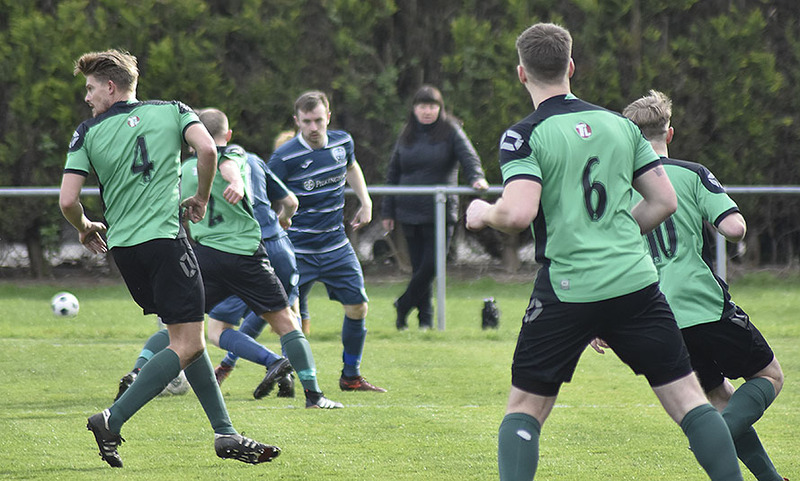 It quickly turned into a battle with both teams unable to get the ball down to play but Pilks had the first chance of the game when Luke Sephton’s shot sailed over after he snapped at Graham Boylan’s knockdown. This was quickly followed by a penalty shout before Matty Taylor was crowded out in the box. With the opposition’s insistence of playing out from the goalkeeper, Pilks were enjoying quite a lot of possession from their hard working press. On 23 minutes the deadlock was broken when Sephton won the ball back on the half way line and played a defence-splitting pass for Taylor to finish at the second attempt after a good save by the keeper. With Pilks needing nothing but a win this came as a big relief but they started getting a little sloppy and for the last 20 minutes of the half it was Greenalls who had control but their half chances were easily snuffed out. Pilks came out in the second half with more purpose and should have been further ahead when chances were missed following hard work from both Boylan and Adam Dixon. This game was perfectly poised with Pilks keeping the pressure up for another goal and Greenalls dangerous on the counter. Taylor had a few more snapshots but the impressive Greenalls keeper got to each one. Greenalls should have been down to 10 men on 70 minutes after Boylan was fouled by the defender as he attempted to round him and score into an open net. Unfortunately the referee deemed it only a yellow and the free-kick was wasted. As the game came to a close there were some nervy moments for Pilks and they were relieved to see Nathan Moore burst out of defence and take the ball right into the Greenalls box before being upended and the referee pointing to the spot. After a little confusion and a yellow card being shown, the referee then changed his mind on the advice of his Assistant. 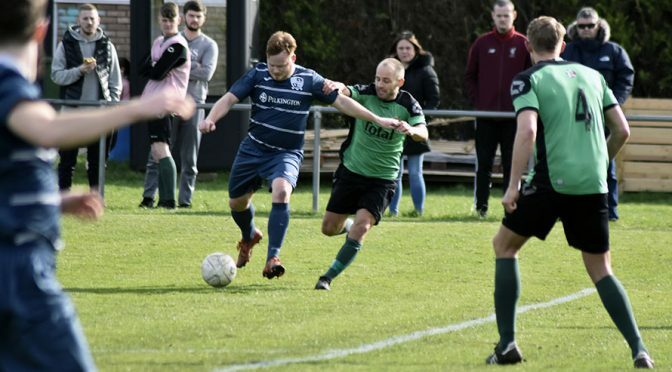 Pilks held on for the win and they now require 6 points and a +3 goal difference from their final two home games to lift the Cheshire League Premier Division and promotion to the North West Counties League.